Regularly $90, but a $120 value. How does Santa make his trip around the world every year and stay on time? 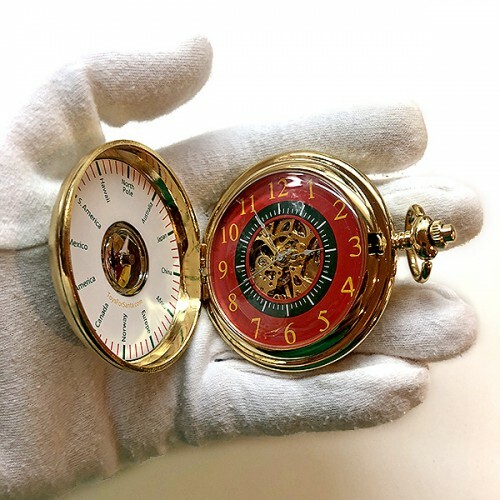 He's got a beautiful, antique-style metal pocket watch, finished in 18kt Gold and rhodium plating, with a working skeleton watch face and a timezone - compass face opposite. 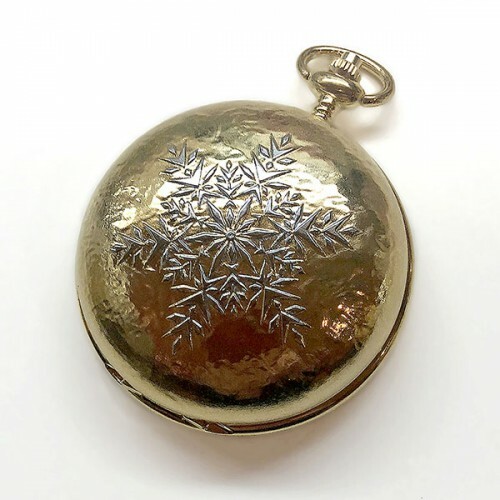 This Santa-sized watch is 2.5" (63mm) in diameter (see this in Santa's XL hand in photo) and is hefty, at 3.9oz (113g). 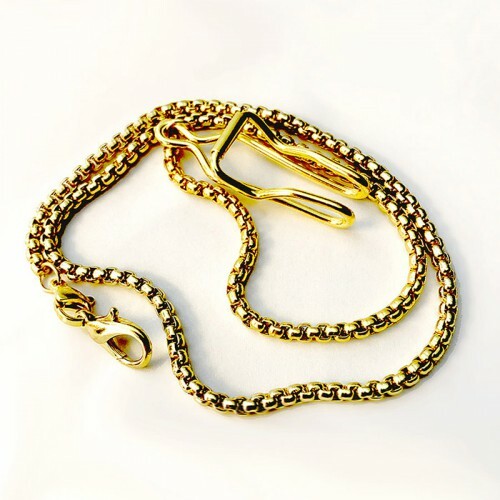 This watch, purchased at current pricing, now includes a GP 14" deluxe watch chain. 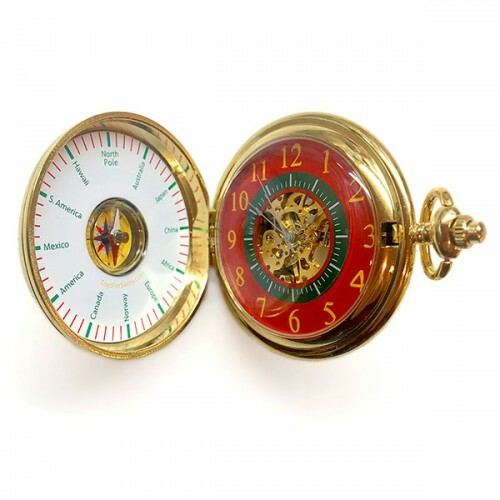 Gently wind this well-made mechanical movement and show the works in operation to children as they gather about. Get turned around? 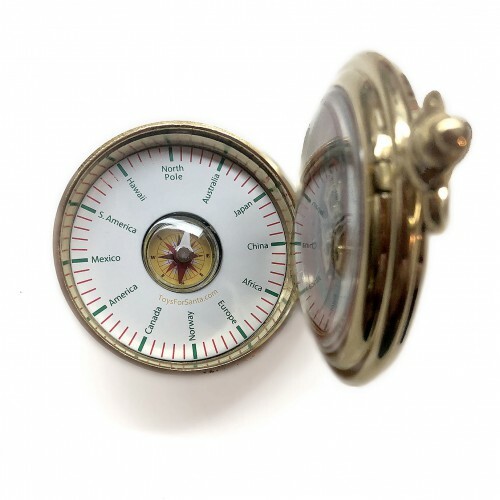 Use the compass to see how to get back to the North Pole in the most direct way. Designed by (Stephen Arnold) Fabled Santa and manufactured by Fabled Santa Industries for ToysForSanta.com. All designs are copyrighted. *This watch is designed and manufactured to be used as a Santa Claus prop. We offer a one-year limited warranty against manufacturer defects, but not from mishandling. 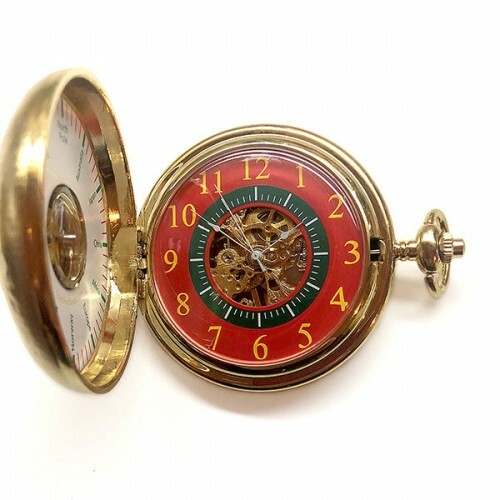 This uniquely design, quality-manufacturered pocket watch is not investment quality watch, but it is also not priced like one. Over 100 sold.